In this lesson, you will learn how to implement version control using Git and GitHub. Before completing this lesson and the challenges, be sure that you have forked and cloned the repository for Homework 1. If you have not, first complete the challenge posted at the bottom of the lesson on Get Files From GitHub. Be sure that you have also completed the lesson on Manage Jupyter Notebook Files and Markdown in Jupyter Notebook. You will also need a web browser and your Github.com login (username and password). In the lesson on getting files from GitHub, you learned how to fork and clone existing GitHub repositories to make copies of other users’ repositories and download them to your computer. In later lessons, you will expand on this version control workflow to notify others (your collaborators) about changes you have made and that you would like to add to the original (master) copy of a repository. In the terminal, set your Github.com username by typing: git config --global user.name "Your UserName". In the terminal, set the email for your Github.com account by typing: git config --global user.email "youremail@email.com". 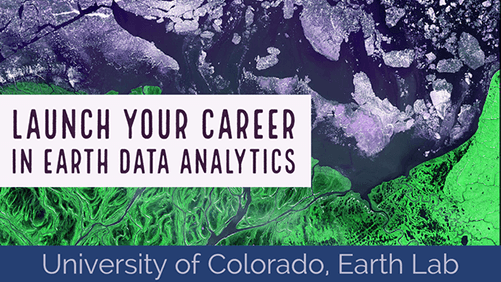 Begin by using Shell to navigate to your forked repository (the ea-bootcamp-hw-1-yourusername directory) and launching Jupyter Notebook. Open the Jupyter Notebook file for Homework 1 (ea-bootcamp-hw-1.ipynb) and make some changes. If you previously started working on Homework 1 or complete the optional challenge from the previous lesson on Markdown, then you already have some changes that can be added to version control and pushed to GitHub. In the terminal, navigate to your ea-bootcamp-hw-1-yourusername repository that you forked and cloned to your computer. Run the command git status to check that changes have been made to your files that have not been pushed back to GitHub. The output from git status indicates that you have modified the file ea-bootcamp-hw-1.ipynb. You will use the add and commit functions to add and commit your changed files. git add: takes a modified file in your working directory and places the modified version in a staging area. git commit: takes everything from the staging area and makes a permanent snapshot of the current state of your repository that is associated with a unique identifier. These two commands make up the bulk of many workflows that use git for version control. 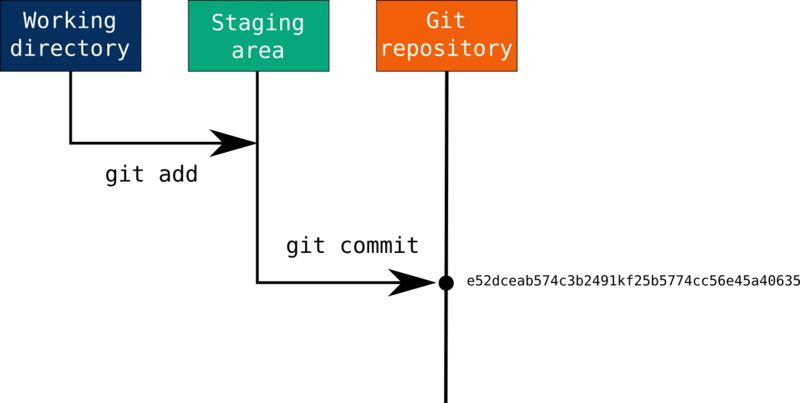 Modified files are staged using git add, and following a commit, all files in the staging area are snapshotted and become part of the repository's history, receiving a unique SHA-1 hash identifier. Source: Max Joseph, adapted from Pro Git by Chacon and Straub (2014). However, use git add . with caution. Be sure to review the results from git status carefully before using git add .. You do not want to accidentally add files that you do not want to change in the GitHub repository. Once you are ready to make a snapshot of the current state of your repository, you can use git commit. allow you and your collaborators to find (and undo if necessary) changes that were previously made. git commit -m "Update title and author name in homework 1"
You will learn about including longer commit messages later in this course. So far we have only modified our local copy of the repository. To update the files in your GitHub repository, you need to push the changed files to GitHub. You will then be prompted for your Github.com username and password. After you have pushed your commits, visit your repository on https://github.com/yourusername/ea-bootcamp-hw-1-yourusername and notice that your changes are reflected there. Also notice that you have access to the full commit history for your repository! Rename your Homework 1 file and update it on GitHub! Practice your Jupyter Notebook skills to rename your Jupyter Notebook file for Homework 1 (ea-bootcamp-hw-1.ipynb) by adding your first initial and last name to the filename (e.g. jpalomino-ea-bootcamp-hw-1.ipynb). Use your new Git skills to add and commit the changes and then push the changes to your ea-bootcamp-hw-1-yourusername repository on GitHub. Visit your repository on Github.com and see your change! What happened to the original file ea-bootcamp-hw-1.ipynb?